Hotel Camiral is located roughly 40-minutes by car from Barcelona and a 50-minute drive from El Prat International Airport. 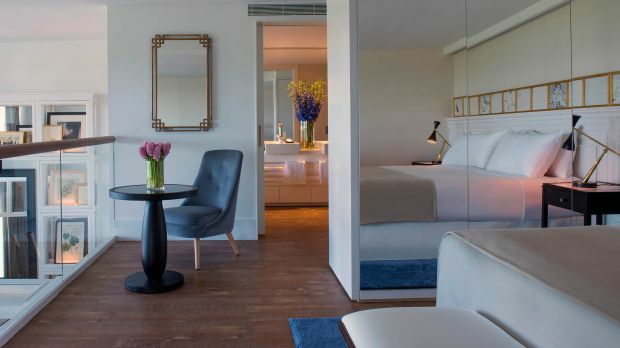 Hotel Camiral at PGA Catalunya Resort is designed to make the most of every moment. Whether one is here to golf, or just bask under Mediterranean skies, it’s the perfect venue to be as active or relaxed as you desire. Though it plays host to the No.1 golf course in Spain, PGA Catalunya Resort is unlike most golf communities due to the sheer breadth of activities on offer. Visitors can try their hand at horse riding, mountain biking and hiking, while the legendary beaches of the Costa Brava are just 20-minutes by car. At the center of all this lies Hotel Camiral, a relaxing haven where each day brings something new and exciting to discover. Each of the hotel’s 149 rooms are spacious and carefully appointed in calming whites. 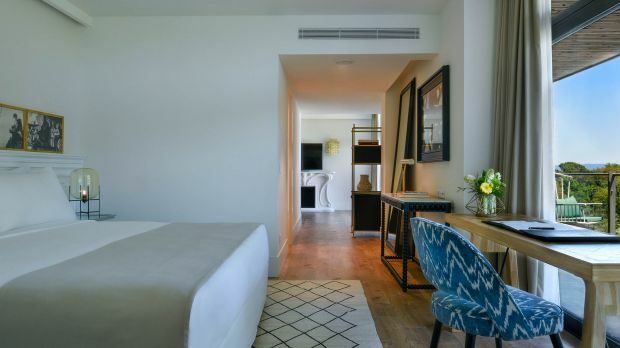 A variety of contemporary amenities are offered, including individual climate control, fully stocked minibars, Wi-Fi Internet, large Samsung TVs, and exclusive toiletries by the White Company. Whether you’re seeking 19th hole nibbles, or something a little more upscale, the dining options at Hotel Camiral tick all the right boxes. The selection is headlined by 1477, an indoor/outdoor restaurant that blends European cuisine with a distinctly Catalan flavor. Elsewhere, there’s a bar beside the hotel’s spacious outdoor pool, a lounge bar with impressive wine list, and the PGA Clubhouse Bar & Grill. As the name suggests, PGA Catalunya’s golf facilities are some of the best in Europe. There are two exceptional courses in the shape of the Stadium Course and Tour Course, as well as two golf academies, one helmed by PGA Tour stalwart Sergio Garcia. Amenities off the course include two lighted tennis courts, a fully featured fitness center and a relaxing spa. Send an availability request with your requested dates to the Hotel Camiral at PGA Catalunya Resort. From contemporary furnishings, to tasteful décor and luxurious bathrooms, these rooms have all the attributes of the ultimate relaxing retreat. Features include 1 King bed, spacious sitting area, executive work desk, separate shower and bath, exclusive toiletries by Elemis, Wi-Fi Internet, 40" Samsung HD LED TV, Illy coffee machine and an in-room safe. From contemporary furnishings, to tasteful decor and luxurious bathrooms, these rooms have all the attributes of the ultimate relaxing retreat. Features include 2 Twin beds, a spacious sitting area, executive work desk, separate shower and bath, exclusive toiletries by Elemis, WiFi Internet, 40" Samsung HD LED TV, Illy coffee machine and an in-room safe. 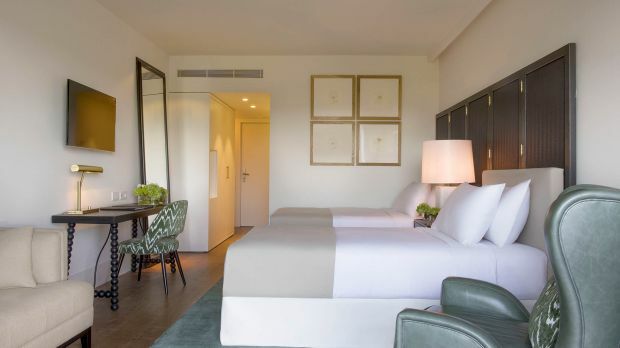 From views over the Tour Golf Course and the magnificent Pyrenees in the background, to richly textured rooms finished in soothing, neutral tones, these rooms are stunning down to the last detail. Features include 1 King bed, spacious sitting area, executive work desk, separate shower and bath, exclusive toiletries by Elemis, Wi-Fi Internet, Illy coffee machine and an in-room safe. 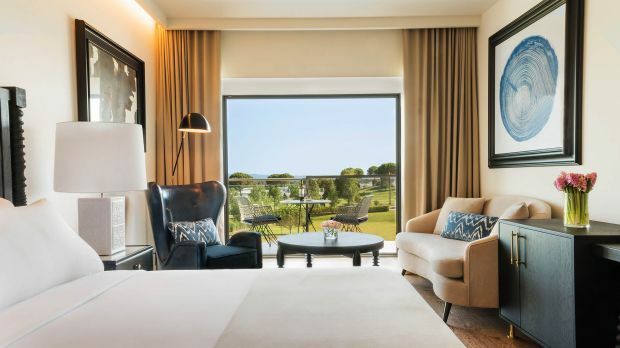 From views over the Tour Golf Course and the magnificent Pyrenees in the background to the richly textured rooms finished in soothing, neutral tones, these rooms are stunning down to the last detail. Features include 2 Twin beds, a spacious sitting area, executive work desk, separate shower and bath, exclusive toiletries by Elemis, Wi-Fi Internet, Illy coffee machine and an in-room safe. It could be the bespoke oak hall table. Or the comfy sofas and footstools. Perhaps the pedestal dining table – the perfect stage for a private dining experience. Luxurious linens, throws and cushions in the bedroom, all created by Spanish designers. Or unexpected touches like your very own fireplace and large private terrace. The spectacular junior suites feature 1 King bed, a separate living and bedroom, stand-alone bath and separate rainforest shower, exclusive toiletries by Natura Bissé, dining area for 4 people, Wi-Fi Internet, an in-room safe and a spacious sitting area with sofa, coffee table and executive work desk. This exquisite open-plan suite is bathed in natural light, thanks to magnificent picture windows that afford breathtaking panoramic views over the golf courses. Two superbly appointed bedrooms have been thoughtfully furnished, using a combination of contemporary design and luxurious soft finishes to ensure our guests enjoy perfect relaxation and privacy. State of the art technology comes as standard, with interactive LCD screens, Wi-Fi Internet and chargers to make sure you are always connected.